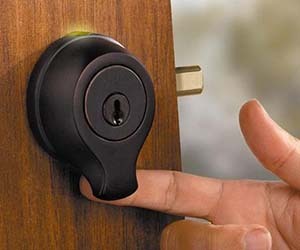 Add a little 007 to your home with this finger scanning door lock! This scanner will only unlock your door after it has authorized your finger print. Awesome!